I’ve been browsing through IKEA’s offerings online and I have to say, IKEA as per usual has its finger firmly on the ‘design’ pulse. It seems to be paying attention to contemporary trends so much more these days. 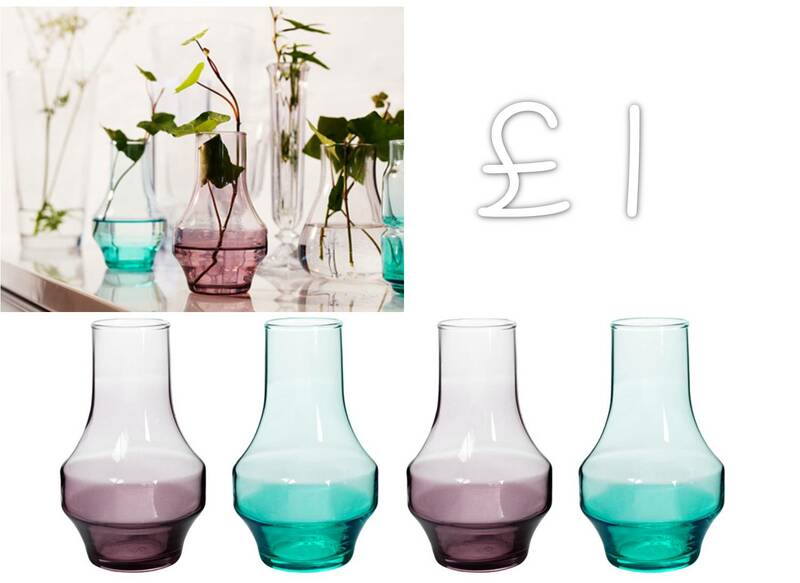 Yes, the modern(ist) Scandinavian influence and styling is still very prevalent but I do feel it has made amazing progress regarding its industrial inspired designs – they have that funky, contemporary edge that can be seen in more high end offerings, whilst STILL keeping the price DOWN. And yes, some of their products can still look a little on the ‘cheap’ side but not all of them. If you look carefully, you’ll find some little gems from IKEA that would confidently sit alongside more high end products. I’ve compiled a list of my Top 5 (in some cases I’ve included a number of products within the same genre) – for not only their ridiculously low price and eye-catching aesthetic but also for remaining on trend. 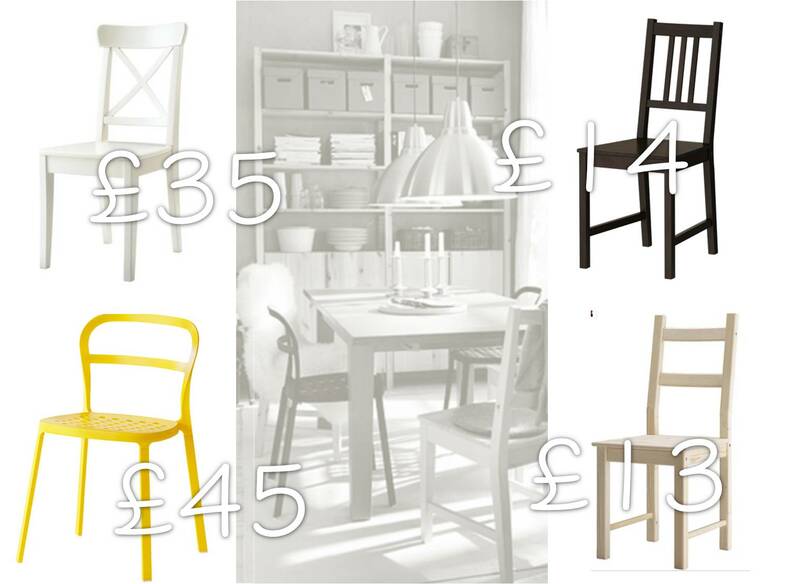 Well done IKEA; keep giving those top-notch designers a run for their money! 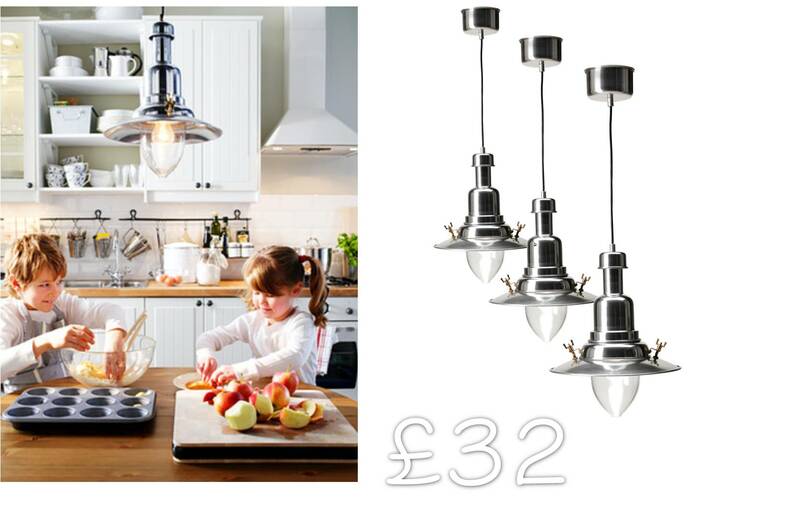 Industrial inspired pendant lighting has been around for quite a while now…they can be seen in kitchens and hanging over dining tables in many designer pads featured in glossy mags. These pendants are dangerous threats to the more ‘exclusive’ designs. 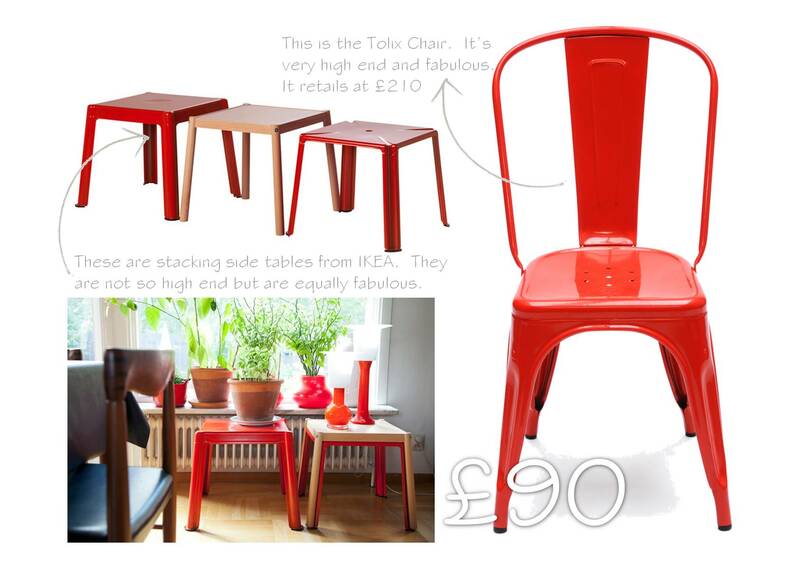 See what I mean about some of IKEA’s products being able to sit alongside more high end offerings?? That’s a pretty impressive feat. A pound EACH??!! Come on, that’s flippin’ good!! 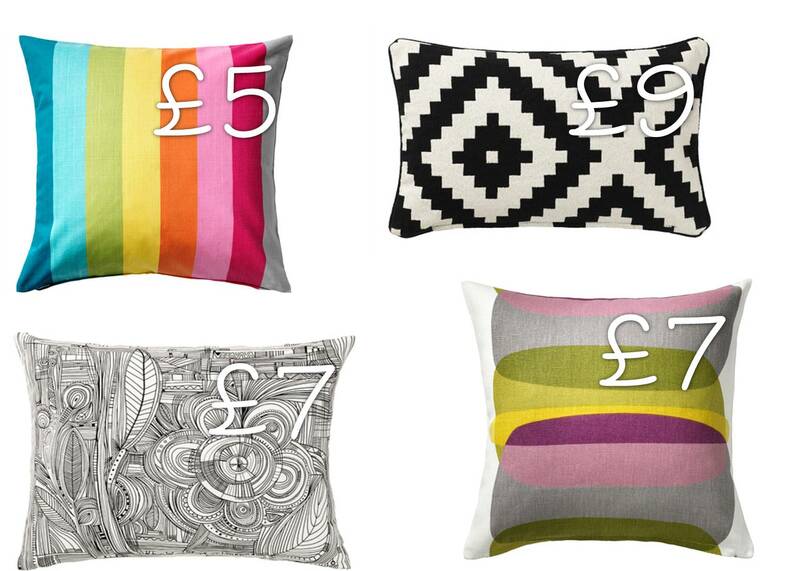 I’m not always hugely attracted to IKEA’s cushions but these are serious contenders. Mix ’em with a few tactile, glam designer offerings and you’ve got yourself a nice little eclectic visual treat. Mixing and matching chairs (or just plonking a random chair in the corner of a room) has been a popular trend for like, ever. IKEA shows you how to do it on a budget. Bravo. I totally agree that it’s possible to find some real gems in Ikea. I have a wonderful set of Ikea lighting in my bedroom – anyone who visits loves them and can’t believe they’re actually from Ikea.